Accuweigh recently supplied heavy duty platform scales to Forest Hill Wines in Denmark, Western Australia, for weighing grapes. The A500 heavy duty platform scales replaced the existing light duty platform scales that had been damaged and were uneconomical to repair. It was the heavy duty construction of the A500 platform scales, compared to the existing system, that attracted Forest Hill Wines to the Accuweigh product. 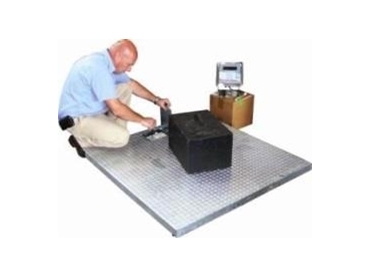 A500 heavy duty platform scales are fully galvanised with multiple cross braces under the weighing platform, which eliminate deflection under load ensuring the platform scale can withstand hard use for much longer than cheaper, lightly constructed platform scales. Forest Hill Wines' existing digital weight indicator was still fully operational and was retro-fitted to the A500 without any problems and the heavy duty platform scales were then certified for trade use to 300kg x by 1kg divisions. The Forest Hill Wines vineyard is the oldest cool climate vineyard in Western Australia. It was established in 1965 and today is still family owned with over 80 hectares of land under vine. The vineyard produces wines using their own label as well as being a contract winery for the surrounding vineyards to produce clients’ labels.